- No easy dent, or deformation after accidental drop. - Size fits most car cup holders and bike bottle cages. - Many Colours to choose. - Easy to clean, fill, and drink from. 1. Before the new use, shall (edible or add detergent) washed several times with hot water, high temperature sterilization. 2. Before use, please use boiling water (or cold water) to warm up (or pre-cooling) for 5-10 minutes, to allow for better insulation effect. 3. Sheng hurried too full of water, so as not to tighten the lid, water overflow burns. 4. Please slowly drinking a hot drink to avoid scalding. 5. Not long bloom milk, milk products and fruit juices catch other carbonated beverages. 6. After drinking is completed, tighten the lid, ensure clean and hygienic. 7. To use a soft cloth and warm water after eating diluted detergent when washing. Do not use bleach alkaline metal scouring pads, rags and other chemical. 8. The inside of the stainless steel cup is sometimes due to the influence of iron and other substances contained in full bloom was to produce some red rust points, vinegar diluted with warm water to soak Thirty minutes later, fully cleaned. 9. In order to prevent the generation of odor or stains, and can use long-term clean. After use, clean it sufficiently dried. Perfect for hiking, camping, sports and everyday use Durable & Dependable - Rust-proof and leak-proof,Dishwasher safe. - Easy to clean, fill,and drink from. 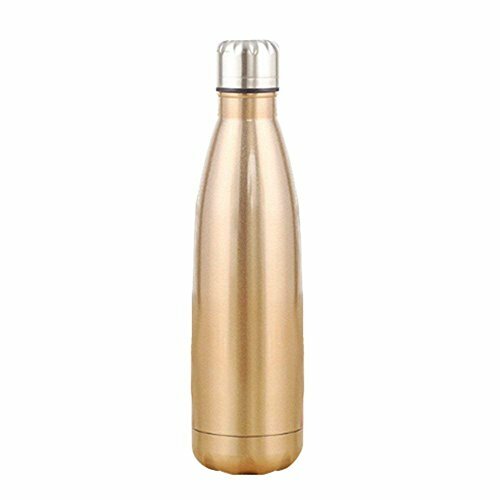 Unique double-walled vacuum insulation technology with vacuum-seal cap keeps your drinks cold for 9hrs and hot for up to 18 hrs. If you have any questions about this product by Aquiver, contact us by completing and submitting the form below. If you are looking for a specif part number, please include it with your message.